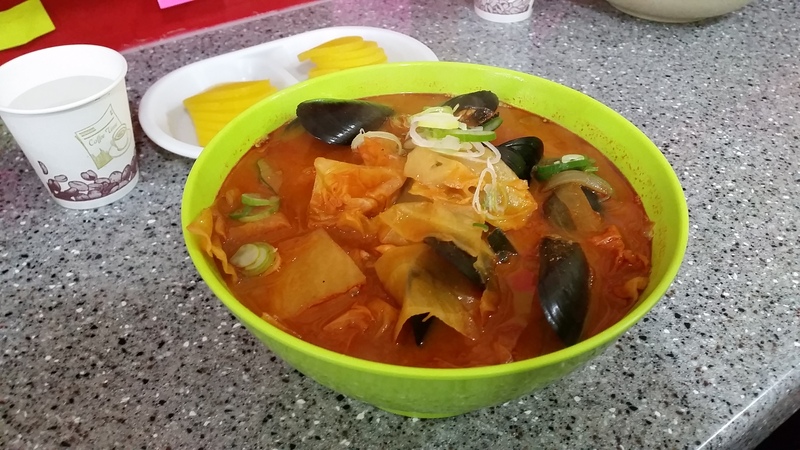 If you’ve watched the popular Korean Variety show Roommate, then you’ll definitely know of the spicy Jjampong featured in one of their episodes. 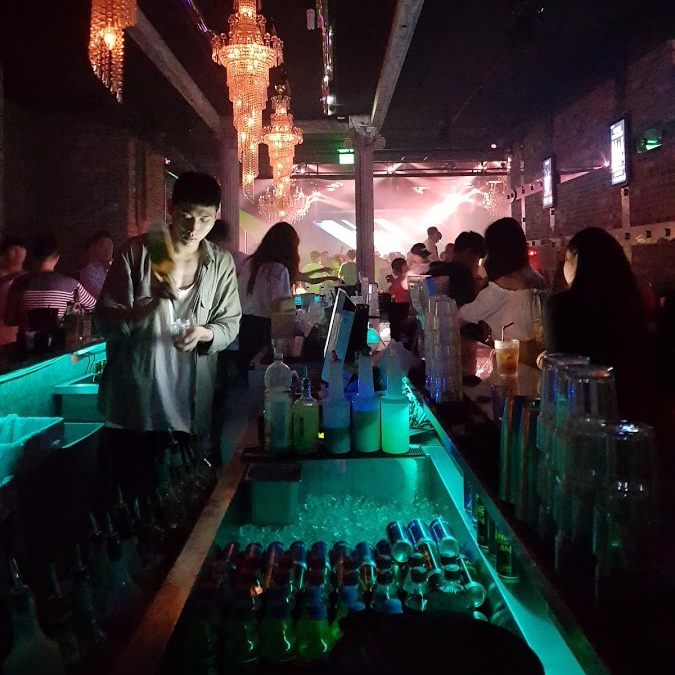 This place was also featured on multiple variety shows like Infinity Challenge, and has idols like SNSD going to try it out . 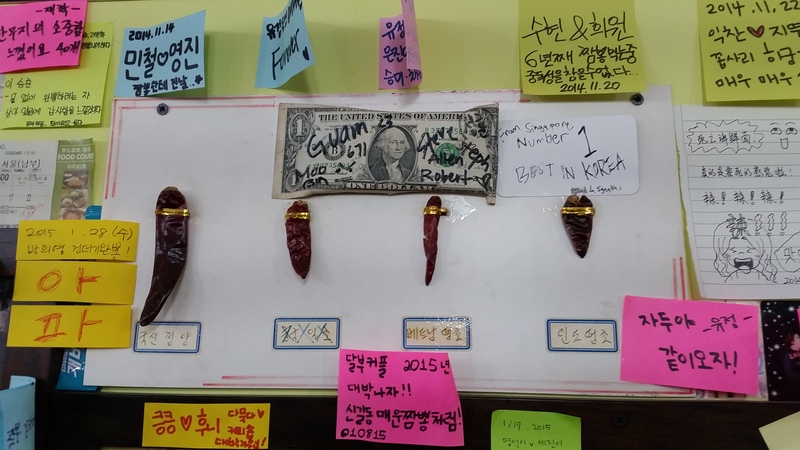 The various cast members went around Seoul searching for the spiciest food to bring back home. 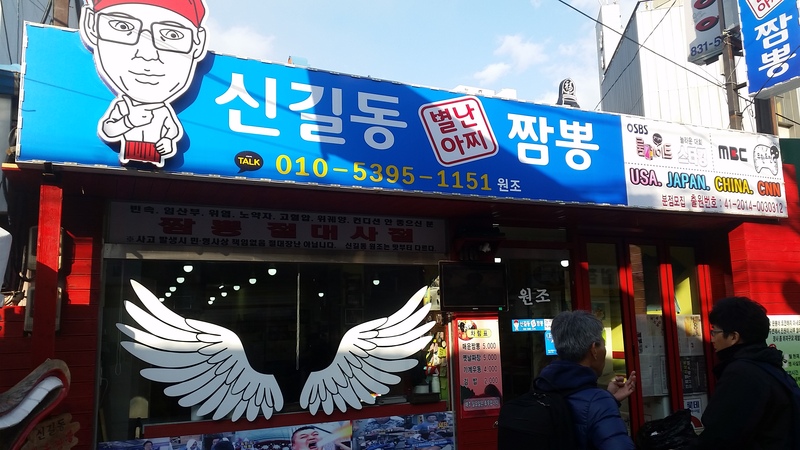 Their conclusion was that Singgil’s Spicy Jjampong was the number one spiciest Jjampong and food overall in Seoul. Song Ga Yeon, Nana, Chef, Seo Kang Joon, Jo Se Ho. Being a spicy food lover, I knew I had to head there. So we planned this in our itinerary and went out of our way to have a taste. My family LOVES spicy food. Like, spicier than what the average Singaporean eats. We have weekly Mala Steamboat sessions and our family has our own spicy chilli created. That’s how much and how often we love/eat spicy food. 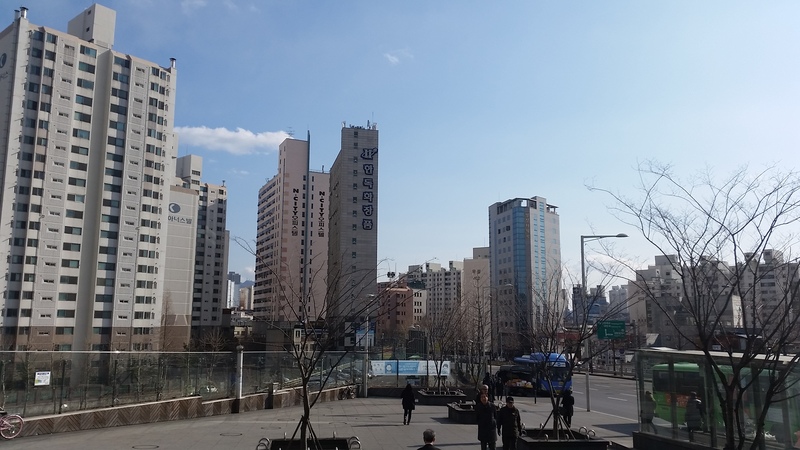 Located at Singgil-Dong (1 stop away from Yeuido, near 63 City/Hangang Park), it was my first time going to this area although I’ve been to Seoul multiple times. 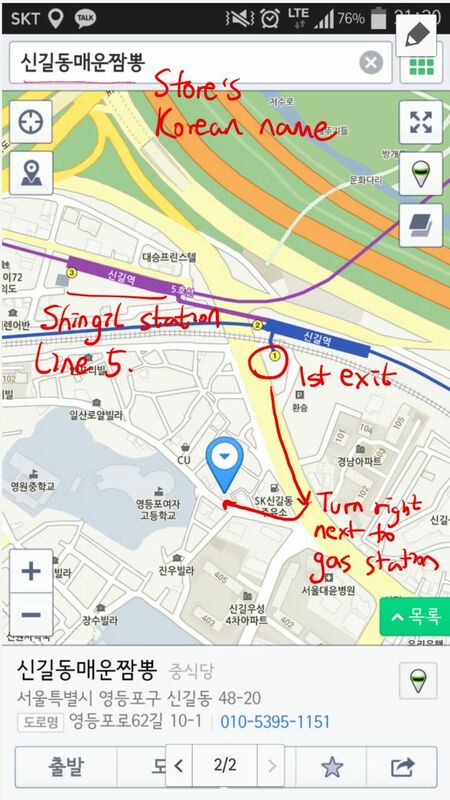 It was pretty easy to find with a map kindly drawn by my Korean friend Hyun-Woo. For a visual guide with more details, go to the end of this post! 🙂 This is a very brief map we used. The interior of this place was covered with photos of celebrities and post-its, attesting to the popularity of this place. I went at around 4:30pm. The friendly staff warned us of the insane level of spiciness we would be facing. We ordered a bowl to share between two persons but he told my parents to take the normal noodle soup without spiciness as he said it was “dangerous”. They followed his advice after being briefed on the various spices being used here. We were given a bowl of delicious broth in case we couldn’t take the spiciness. 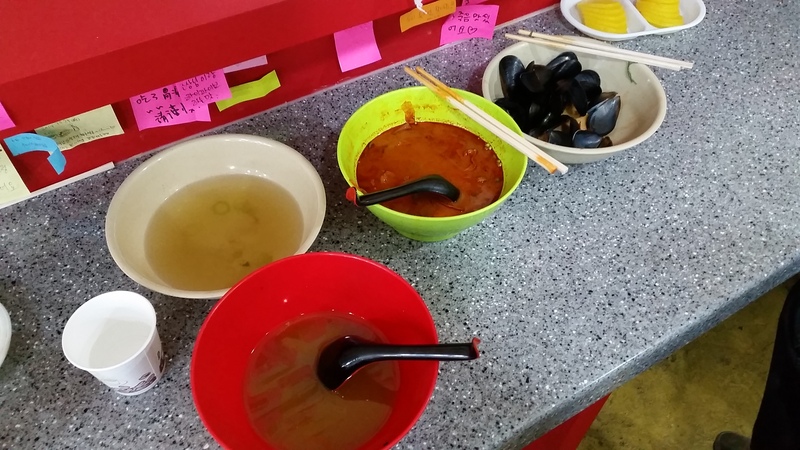 The idea is that we could take some soup and noodles and wash it in the clear broth to wash the spiciness level down. This was how it was served. The chef/owner did a quick brief on how we should eat it. First, we should start with the noodles, followed by ingredients and finally, the soup. 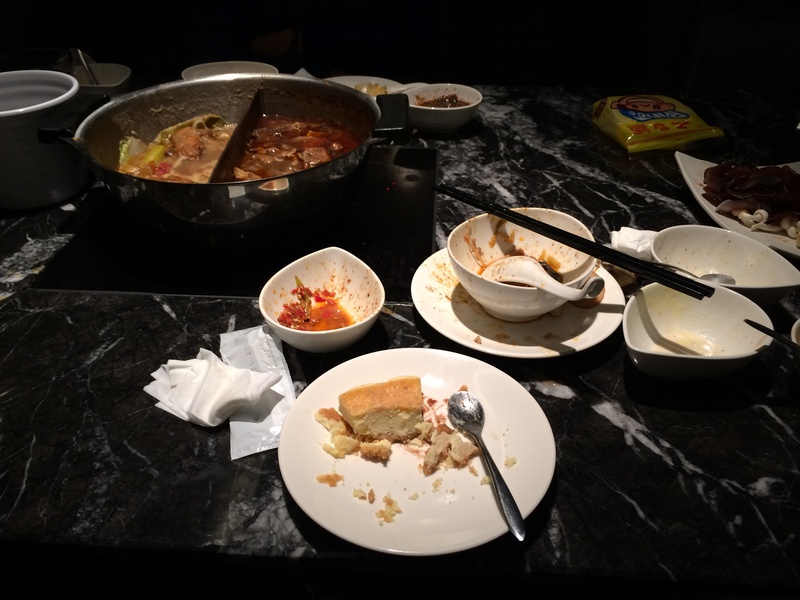 We were strongly advised against drinking too much soup. My girlfriend was wiping my sweat non-stop. There is a huge toilet roll in front of you for you to wipe your sweat/tears. There is also a water cooler for you to refill your cups, and a toilet. Trust me, you’ll need it. 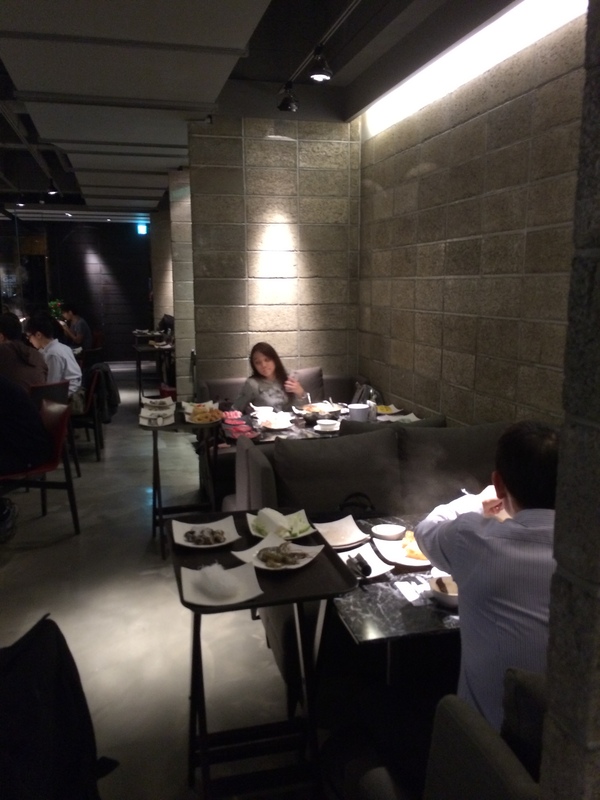 Oh, and she gave up after a mouth and ordered Kimbap to eat instead. I’m ashamed to say that I ran out repeatedly to get a cold blast of the winter winds to help fight my perspiration and internal flame from the sheer spiciness of the Jjampong. And I’m proud to say I’m a finisher. Broth in the white bowl and the finished bowl in the green! For its value-for-money price, novelty factor and deliciousness, I strongly recommend every spicy food lover to try it. I know I’m definitely going back. This is what you should see when you exit. Walk on the pavement on your right beside the main roads. 3. Walk straight past the parking lot on your left. Walk past the parking lot on the left as seen in the picture. 4. 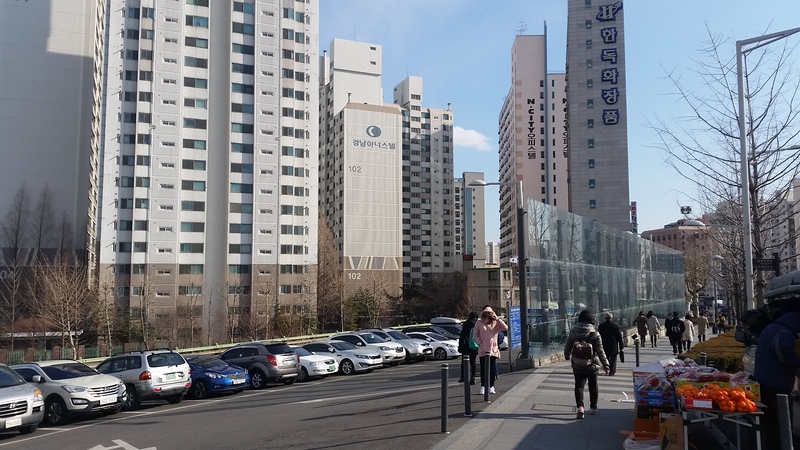 Keep walking down for about 200m until you see a CU Convenience Store on the left. 5. Cross the road towards block 402. Cross the road towards block 402. 6. When you cross the road, you should see ICOOP building in between block 402 and MS Tower Hill. Walk on the right road, in between ICOOP Building and MS Tower Hill. Walk straight down this path. 7. 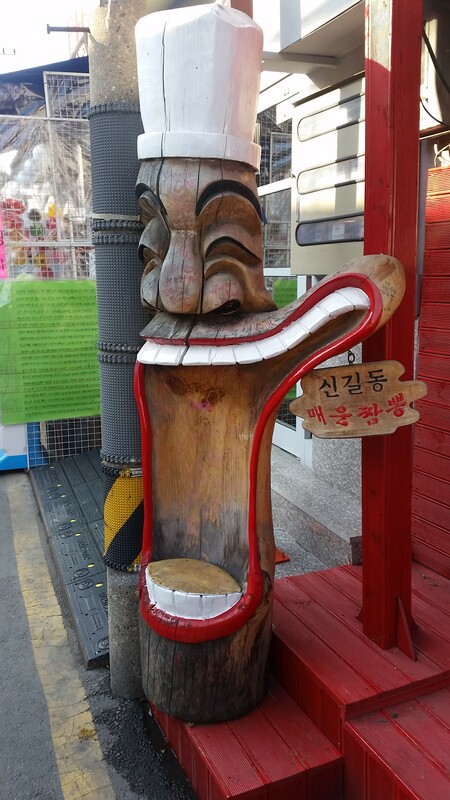 Walk down for about 50M until you see this figurine outside the shop. 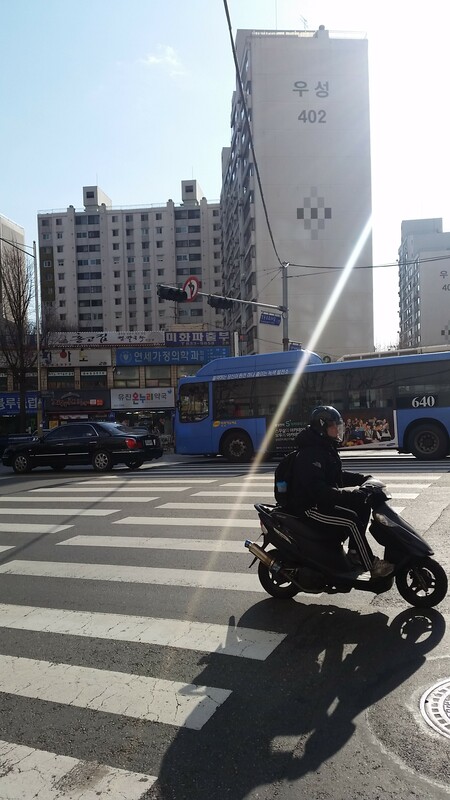 신길동 매운짬뽕, pronounced as pronounced as Shingil-dong maeun jjambbong. 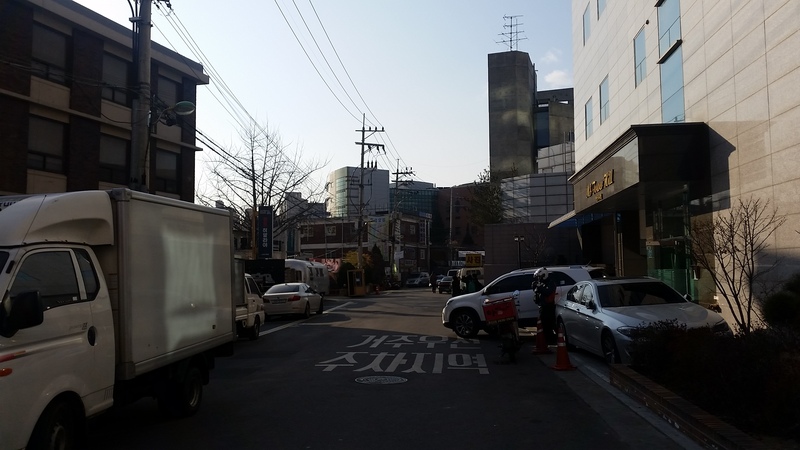 Getting there is a 5-10 minute walk from Singgil Station. 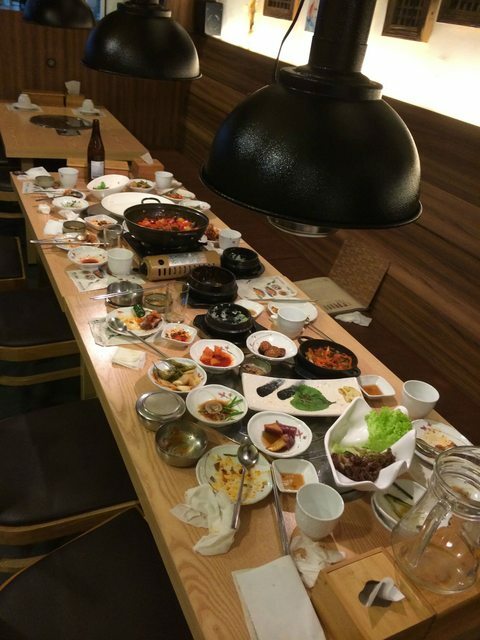 There are many Korean eateries in Tanjong Pagar, and most of them are flooded nightly. However, when you enter a Korean restaurant and you see it flooded with Koreans, you know you’re in the right place. 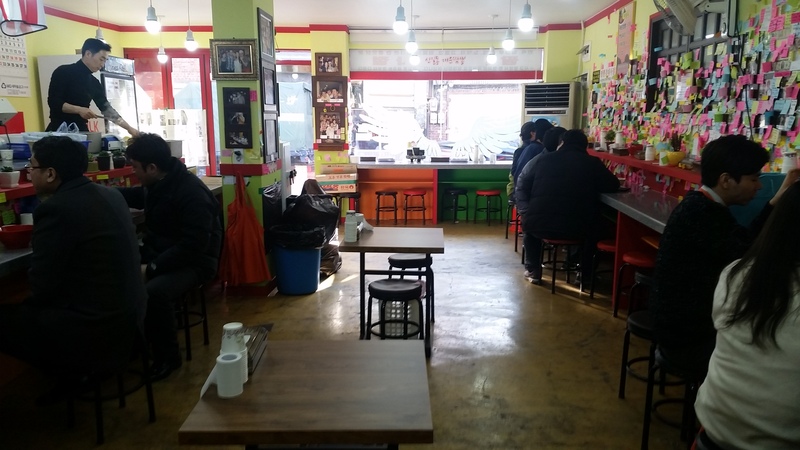 Located just beside WaBar, this was a very pleasant looking place with 2 floors, with Koreans running the place, from the chefs to the waiters. The owner herself was busy running about the restaurant, mending to customers. 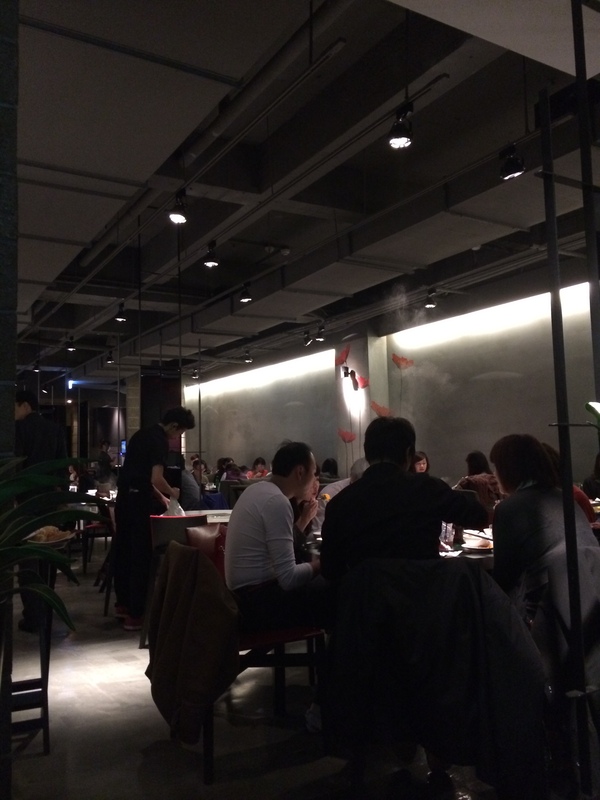 It’s a very nice family restaurant with a very cosy feeling. 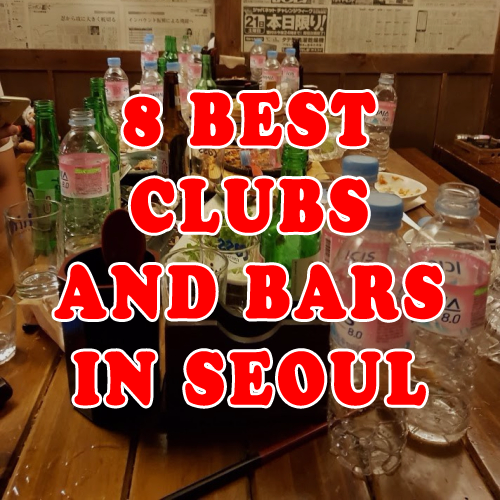 This isn’t your regular BBQ restaurant as this place served both BBQ and regular Korean cooked food. We were looking for a place that focuses more on non-BBQ items and this was definitely the right place to be. With 8 of us around, it’s hard to split up between us young ones who wanted BBQ, and our parents who wanted normal Korean cuisine. This place was the right fit as we got to have both. 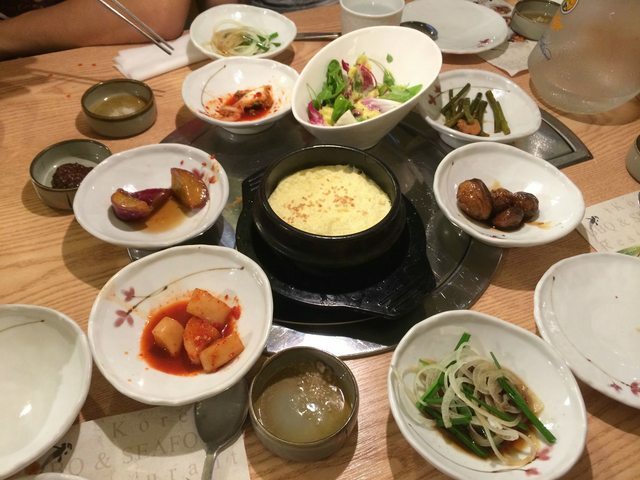 As with every Korean meal, plenty of side dishes came along (complimentary) and they were very pleasant to the taste buds. I particularly liked their Kimchi, which is pretty delicious compared to the regular Kim Chi we buy from supermarkets, or from other Singaporean restaurants. This tasted like the real, home-made thing, reminding me of the Kimchi I had in Korea. Side Dishes: Spring Onions, Radish, Sweet Potatoes, Steamed Eggs, Baby Potatoes, Long beans with prawn, Salad and Kimchi. The highlight of the day isn’t what I expected. 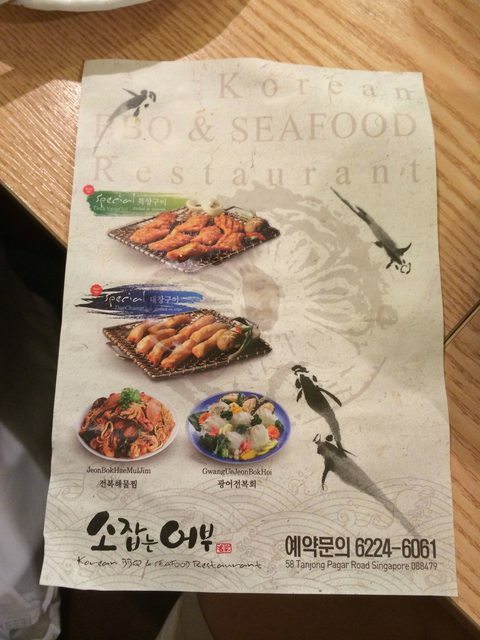 It wasn’t the fantastic BBQ items, or the spicy-sweet Jae Yuk Bokkeum. 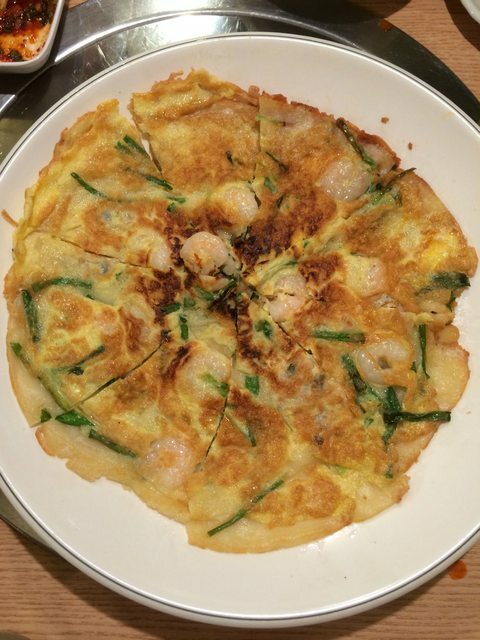 It was the Hae Mul Pa Jeon (S$20), which was easily the best dish of the night. 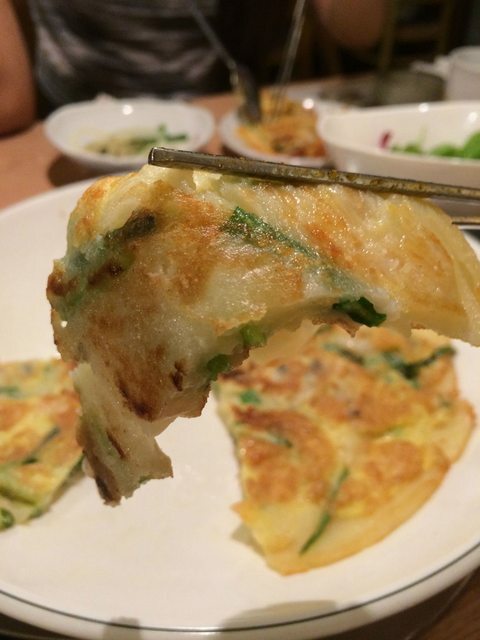 Jeon (전), Korean pancake, constitutes a large part of the Korean diet. I remember it being sold on the streets of Korea. 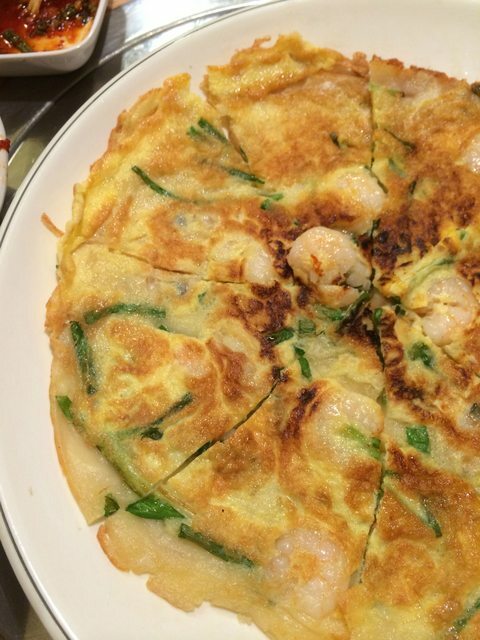 Ever since I first tried it, I never stopped ordering it at Korean restaurants. It isn’t a very popular dish as people focus too much on the meat and BBQ items, but once you have tried it, it’s easily one of the most addictive dishes on a Korean menu. It’s also pretty agonizing to not find good Jeon in most places in Singapore, even in more premium restaurants. Look at the fluffiness of this pancake! 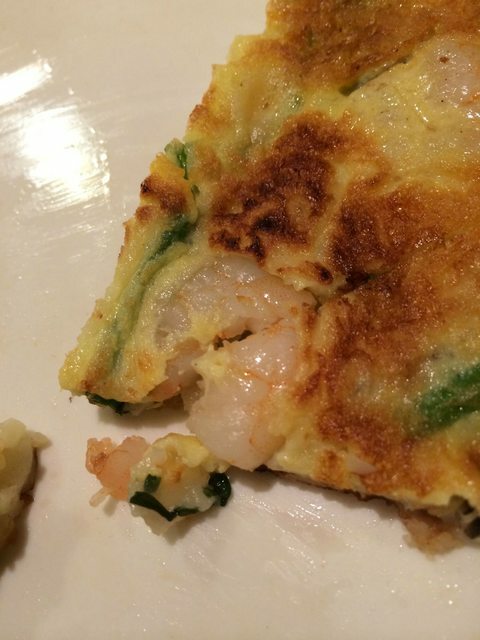 The pancake also had very fresh and crunchy prawns, which was a generous portion full. 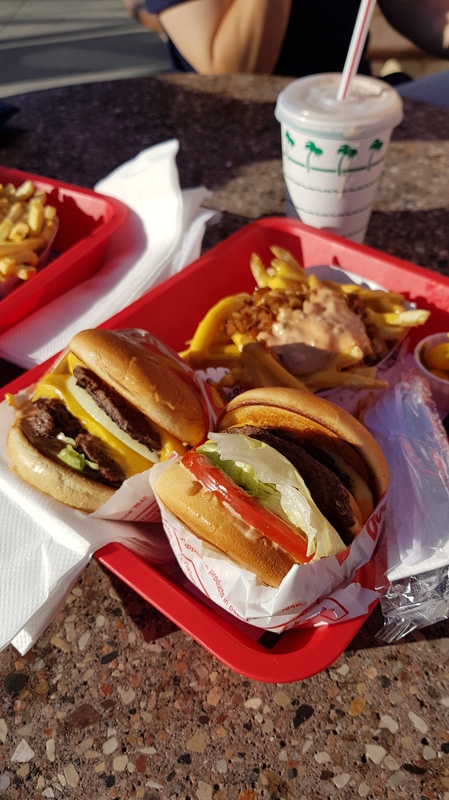 It was so good, that we ordered this TWICE; once at the start of our meal, and once at the end. We were extremely full but decided that we wanted to have this once more before we left the restaurant. 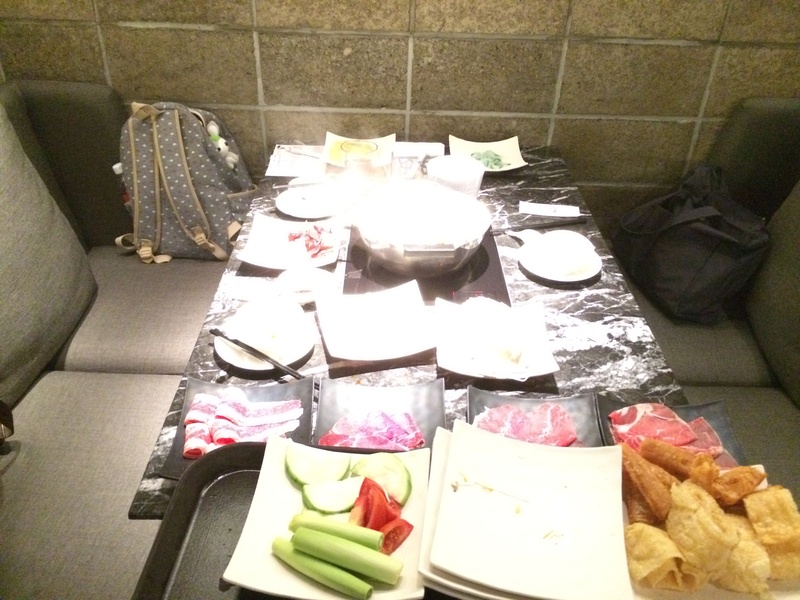 In the end, we spent S$226.60 for a meal for 8, which I find very worth it’s price. The food portions were large, and all were very authentic, and very, very good. This was a very easy place to miss, considering how people usually come here for 2D1N Korean BBQ. However, I highly encourage everyone to skip over having Korean BBQ for once and sit here for a delicious, authentic Korean cuisine. This is one of the few places in Singapore I would come back to again for my Korean food craving fix. I’ll definitely be here again, this time armed with a better camera, to showcase the dishes better. 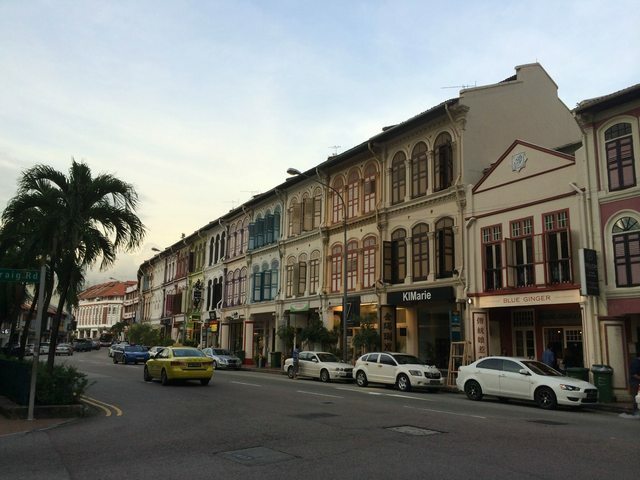 Beside WaBar, 5-10 minute walk from Tanjong Pagar MRT. 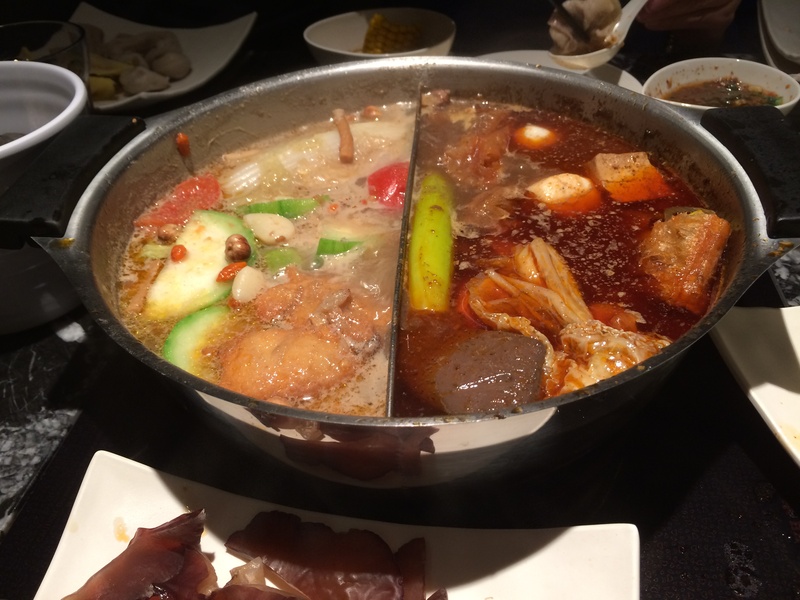 EDIT: REVISITING Xin Dian Pot in 2015! Click here! 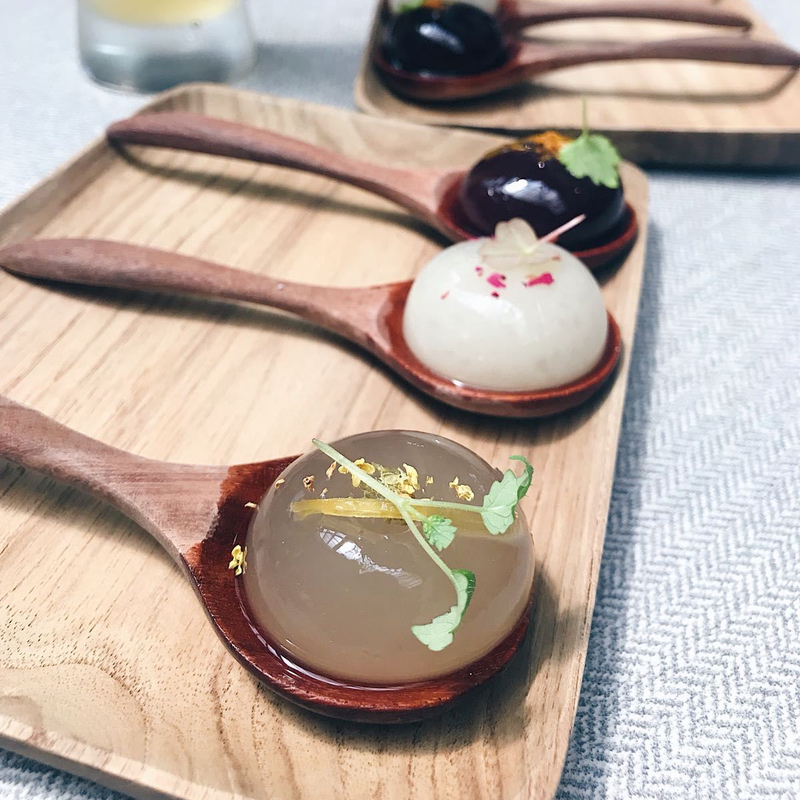 When it comes to Taiwan, I generally don’t bother to go to restaurants to eat as the amount of food on the streets is more than sufficient to fill me up. I know this for sure for most of my friends ‘cos that’s what we do there – eat (FANTASTIC!!) street food or go to the nearest 7-11. However this time, we went to a particular steamboat restaurant due to Xinhui’s auntie’s recommendation, and we were definitely impressed. The interior of this place was exceptionally clean, and the furnishing was exceptional. It was unlike any other steamboat place in Singapore; you were seated on cushioned chairs here. It was nice to see how this place paid attention to details like these to ensure the most comfortable experience. Even the waiting area was a luxurious sofa. This place made you feel like you’re entering a posh restaurant from the moment you entered, with the comfortable furniture, the colours of the restaurant and the lighting of the place. It was a whole new world of steamboat that I had never expected. We waited for a bit before entering as there was a long queue and the place was fully booked. To burn some time, we went to the Ye Shi (night market) just beside it. I was pretty impressed when I saw how the drinks were presented. They had drinks (coke/sprite/orange) bottled. Beside the fridge was a bottle opener and a container full of bottle caps. 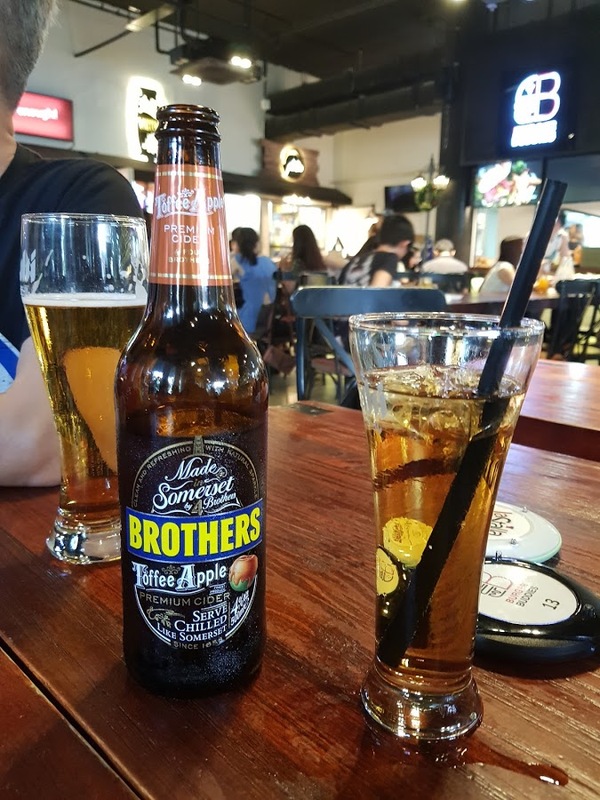 Their drinks here are not the usual watered-down crap you get in some steamboat buffets in Singapore, or even some restaurants. Freshly opened drinks, where you are free to help yourself to unlimited amounts of. There was also a sauce station where you can make your own sauces, which had condiments like soya sauce, XO chilli sauce, chilli padi, spring onions, sesame oil etc. Very common ingredients but they were neatly presented, tempting you to just try your hand at creating your own sauce. We don’t have a pic of it, but I remember xinhui’s sauce to be freaking delicious. Right beside, there was also your usual drinks dispensers, in case anyone wanted your regular steamboat drinks like ice lemon tea, peach tea etc, and also a coffee-maker. 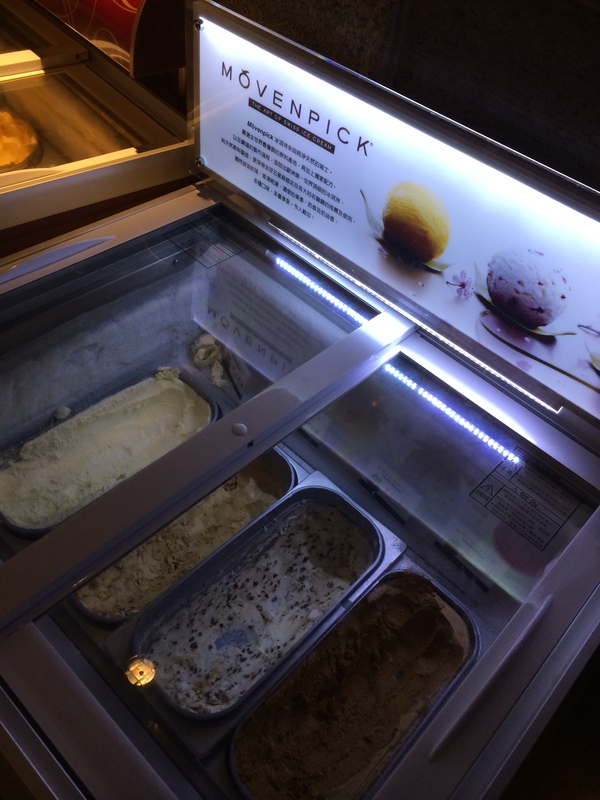 Now this was something I did not expect – FREE FLOW of Haagen Dazs and MOVENPICK ice cream! We all know how good these 2 brands are, especially the pricier Movenpick ince cream. I had a bowl of ice cream before starting on my meal, and the queues for the ice cream was continuously long the whole night. Our soup bases were Mala (numbingly-spicy) on the right, and we were recommended vegetable herbal soup on the left. The soups were good, and was exceptionally flavourful from the start. Also, the mala tang came with ya xue (duck’s blood cake) which we took out as we didn’t eat that. It was something that Taiwanese people really liked though. If you feel that the soup wasn’t spicy enough, you could ask the staff to add more chilli for you. This place is meat paradise. They offer more than just a single type of a particular meat. For example, we ordered New Zealand High-Graded Sirloin beef, American Beef Filet, Black Pork etc. There was also different type of noodles like instant noodles (wang zi mian), udon etc. Everything was very fresh and generous in portion. We accidentally left the beef for a long time in the pot, and it was still soft when we took it out. This shows the quality of meats being served to you. There was also no hassle in ordering, and the staff was always efficient. We did not wait long for food to be served. Some of the food we ordered. 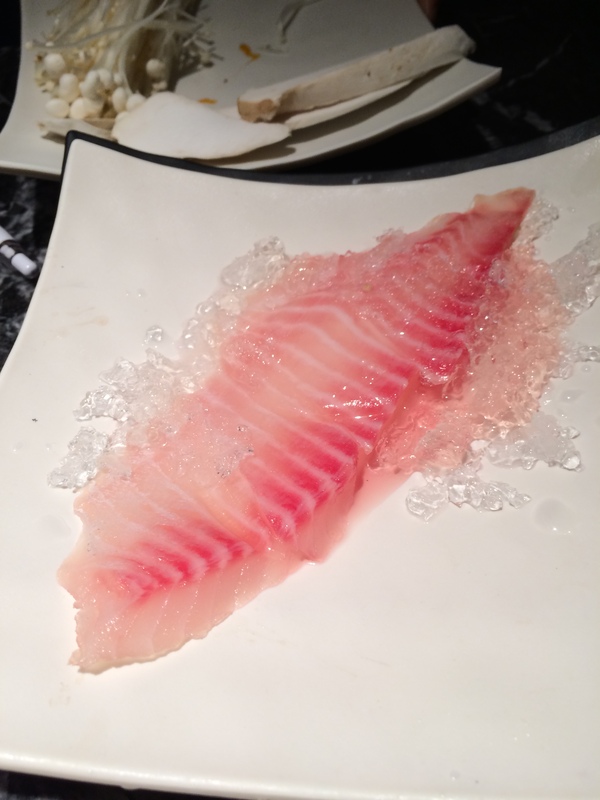 A very notable dish I would like to feature is the fish. This was one of the freshest and tastiest I’ve had. It was also what I kept ordering as the combination of the soup with the fish was simply brilliant. Even now as I’m writing this, I’m craving strongly for it. The sofa chairs we were seated on..
..and the table, full of food. Our soup after approximately 4 rounds of cooking. Still freaking delicious. This was one of the more notable dishes I had that night. 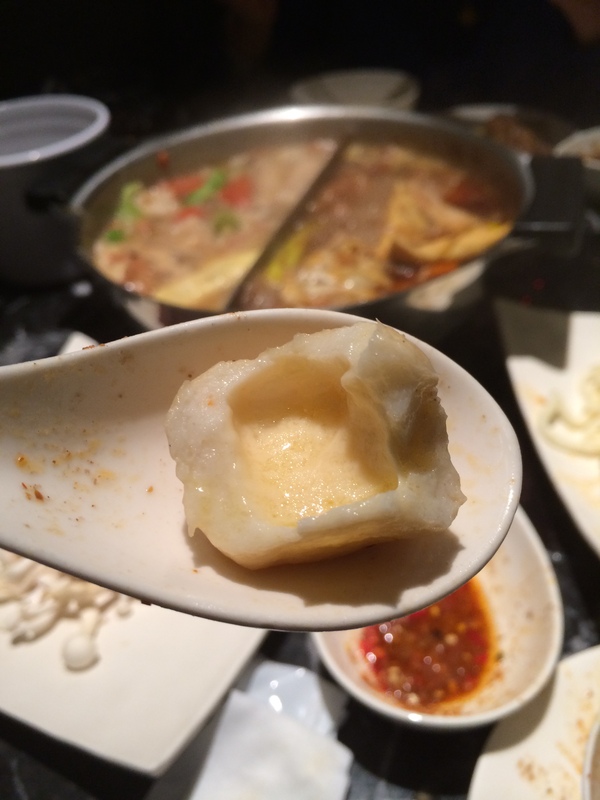 The stuffed-cheese fishball was extremely addictive and I ordered a few rounds of this. The cheese was sweet and super stretchy. 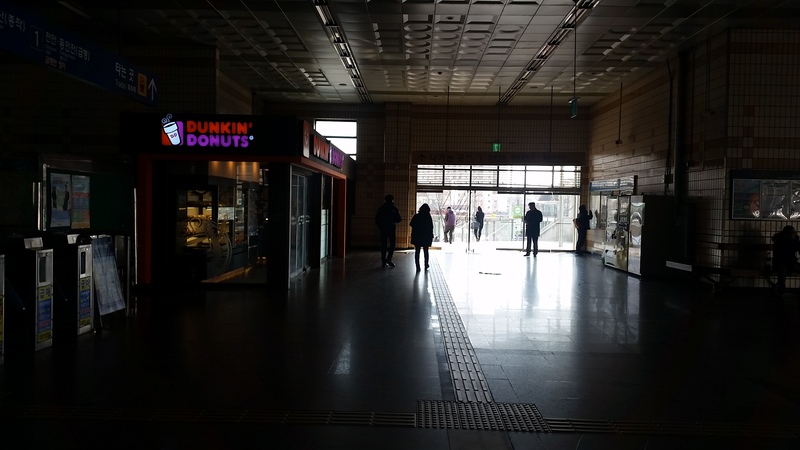 It was better than the one I had in Sukiya. Brilliant. Even as I was already full, I kept craving for more. After the meal, I was surprised to see cakes being served to the tables around me, and wondered if there was a special occasion. After asking the waiter, I found that cakes were a permanent on the menu, as part of the buffet! They served various cakes like cheesecake, tiramisu, chocolate cake, Hokkaido Chiffon cake etc. This is a restaurant that spares no cost in making a customer happy. Cakes in a freaking steamboat restaurant!! I was thoroughly wow-ed. 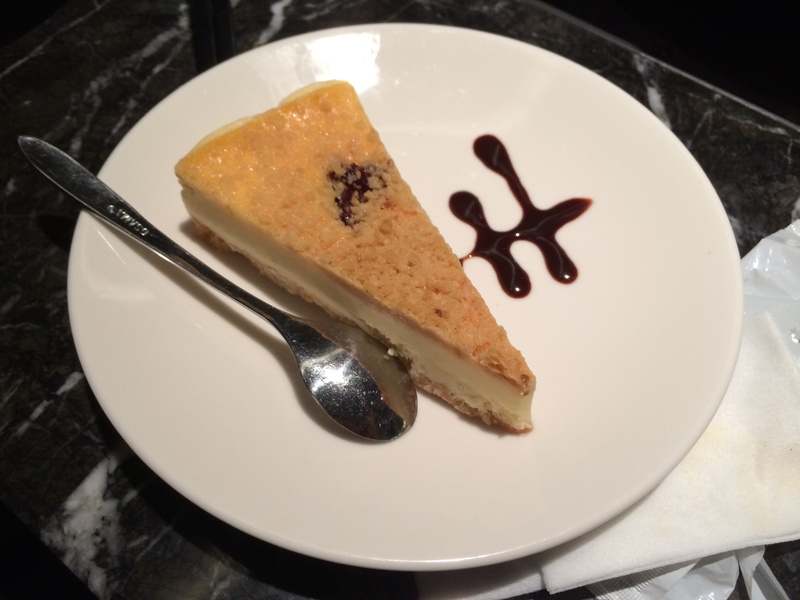 I ordered a cheesecake simply because I was too stuffed from the food and ice cream to eat any more. I wanted to make an additional note about the toilet. For steamboat establishments, I usually find myself going to toilets that are really filthy or hardly cleaned, or just not maintained at all. At Xin Dian Pot this was vastly different. Entering a toilet here is like entering a hotel lobby; it was extremely clean, well-perfumed and ventilated, and overall felt like I entered a toilet in a hotel. I didn’t take a picture, but I was very surprised and impressed with this. You’ll never know when you need a toilet when you’re stuffed at a steamboat restaurant, and it’s nice to find a clean, nice smelling toilet. Don’t need to worry about finding a nice toilet nearby if you er, need to do your business. This is definitely a very impressive place for a steamboat craving fix, and although Taiwan is well-known for its various street food (小吃/small eats), I would definitely recommend coming all the way here just to have a meal. I am known for loving steamboat and I was thoroughly impressed by this place. 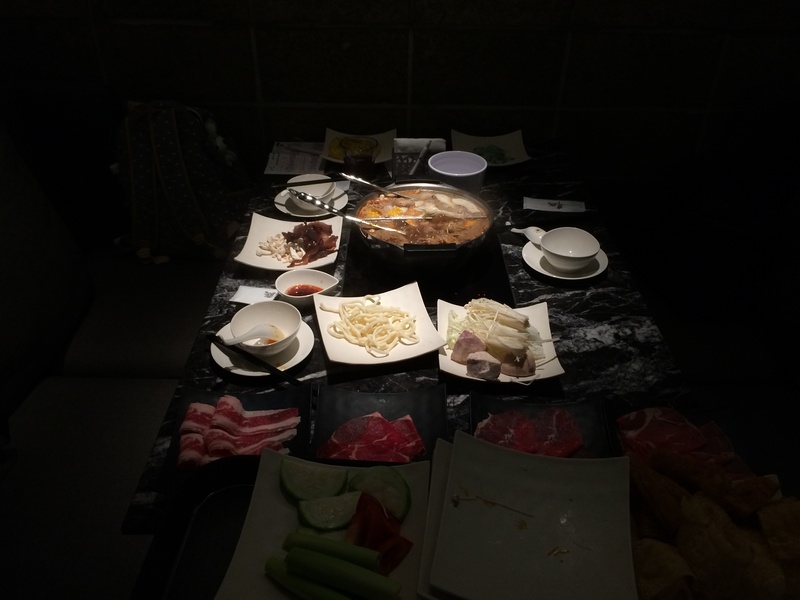 We came here after a full day of 小吃 at Ximending, and we still found the food excellent even on a full tummy. At S$24.20, it’s an unbeatable price for unbeatable quality. 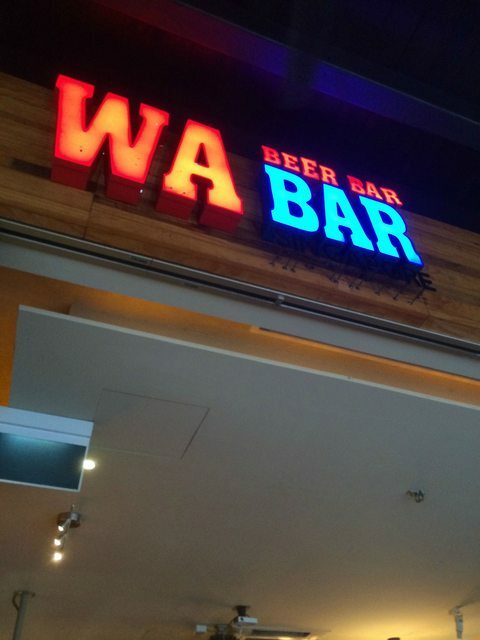 A highly recommended place for all steamboat-lovers.